This is from an environmental tapelift that was processed with acetone. The paint vehicle in this case was soluble in acetone. The result is a circular pattern of pigment and metalic flakes. 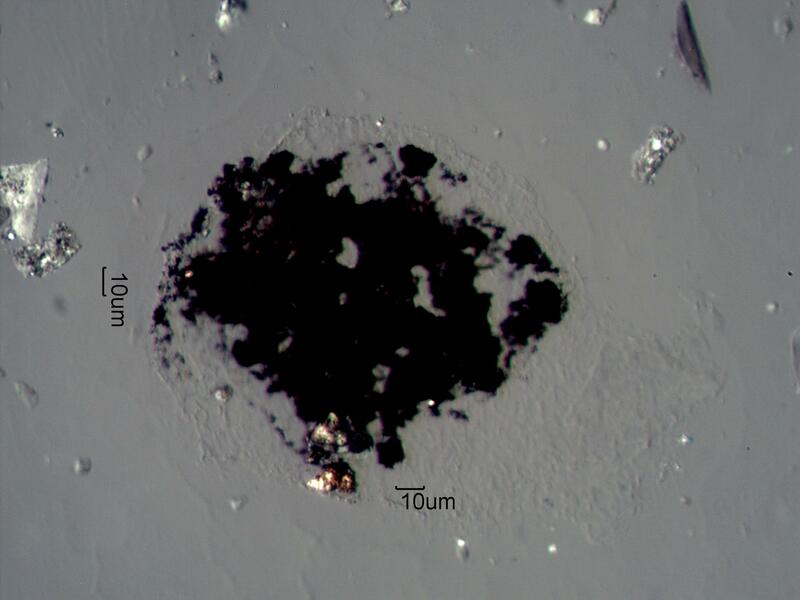 The metalic flakes in this case appear black because they are opaque.